Say "Happy Birthday" the creative way, and color a homemade card for someone on their special day! You and your child will enjoy adding some color and decorations to this template. Then fold it into quarters and you've got a cute card. Brighten someone's special day with a cute butterfly birthday card that you and your child can color and decorate yourselves. 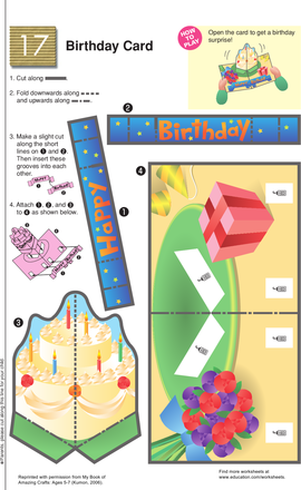 Send birthday wishes with a homemade greeting card! 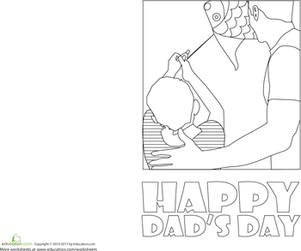 Your child can color this template, fold it up and send it to someone on their special day. Teach your child about an important part of the holiday or birthday season -- sending thank you cards! He'll get to color this cute card himself.